On Facebook recently, I asked readers what they’d like to see featured. Becky, who asked for information on learning vacations, inspired today’s post. Twitter and Facebook followers might wonder if I should write a post titled, “Discover Ohio” since I always complain about the weather. While I prefer North Carolina’s perpetual blue skies, I confess I miss much of the culture unique to Ohio. Won’t you discover Ohio with me? 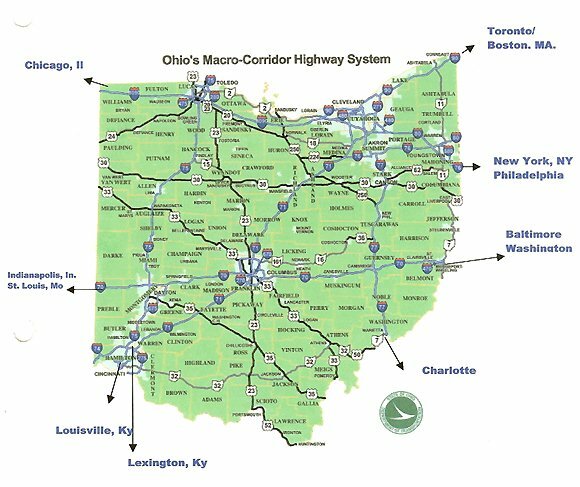 Today’s journey takes us along the I-77 corridor from Marietta, Ohio’s gateway, to Cleveland, the city on the lake. In the winter, this trip offers opportunities to ski and snowboard. Holiday festivals, such as Dickens’ Victorian Village in Cambridge, enhance the season. Summertime offers hiking, biking, and swimming as well as featured summer events like the NFL Hall of Fame Festival in Canton each July and Cleveland Indians Baseball. Ready to go? Marietta is the “city of firsts.” Located at Exit 1 on Interstate 77, Marietta is the first permanent settlement in the Northwest Territory. It offers visitors the opportunity to spend the night at one of the nation’s first riverboat-era hotels and see the home of Ohio’s first postmaster. Around 1795, anti-slavery activists in the area began actively participating in the Underground Railroad, the trail to freedom from slavery in the south. The Belpre Historical Society offers a permanent exhibit and other sites are available to tour. The Sternwheel Festival celebrates Marietta’s heyday, when steamboats ruled the rivers. Marietta’s location at the Muskingum and Ohio Rivers, meant settlers passed through the county regularly, and ship-building commerce boomed. From Marietta, travel north about 50 miles, to discover the Cambridge area, home to Salt Fork State Park and former astronaut and Senator John Glenn. Cambridge is also home to the National Museum of Cambridge Glass, as well as Boyd’s Crystal Art Glass Factory and Mosser Glass. Stay a few nights at Salt Fork to enjoy the indoor and outdoor swimming pools, sauna, tennis, volleyball, basketball, and shuffleboard courts, 400-foot swimming beach, as well as boat launching and docking facilities. Golfing, fishing, hiking and boating opportunities are also available. Salt Fork offers a great “home base” to explore the Cambridge area. Take a free, guided tour of the glass factories or visit John Glenn & Annie Glenn Historic Site and National Road/Zane Grey Museum. A trip to Amish Country transports visitors to a different era. Food is fresh and wholesome. Furniture is hand-crafted, without the use of electric machinery. Everything is quieter, slower and simpler. If you visit in peak summer months, it’s not so quiet, but it sure is slow! Hoards of tourists visit Ohio’s Amish country creating bumper-to-bumper traffic jams on the tiny, two-lane roads. While in the area, consider a trek to nearby Zoar, Ohio. Founded by German religious dissenters in 1817 as a communal society, Zoar today preserves its Old-World charm. Much of the original town built by the Zoarites has been restored. Nine buildings are open to the public as Zoar Village State Memorial. The other buildings in town are privately-owned, used as residences, shops, restaurants and bed and breakfast inns. When my husband and I were first married, we’d escape the city to spend weekends in Amish country. Traveling here, venture outside the chain hotels and stay at a B&B or small inn. The quaint surroundings perfectly suit the experience. Canal Fulton is located minutes from the more industrialized cities of Canton and Akron. Those cities offer festivals, such as the Pro Football Hall of Fame Festival and Akron’s Holiday Fest. Check the Convention and Visitor Bureau links below to learn more. Our trip concludes 45 minutes north in one of America’s greatest revival cities, Cleveland. Founded in 1796, Cleveland’s placement along Lake Erie, the Ohio River, numerous canals and several railroad lines, made it perfect for manufacturing. Once dubbed “the mistake by the lake,” because of smog, declining industry and rising crime, the city reinvented itself in the 1990’s. The new and improved City of Cleveland is home to three major sports teams: the Cleveland Indians (MLB), Cleveland Cavaliers (NBA) and the Cleveland Browns (NFL). The city is also home to the Cleveland Zoo, the Rock and Roll Hall of Fame, botanical gardens and museums. The Cleveland Plus Pass offers guests an economical way to explore everything Cleveland offers and includes restaurant discounts, too. Discover Ohio on this learning vacation along Ohio’s I-77 corridor, the “Vietnam Veterans’ of America Highway.” The trip immerses you in culture, history and the great outdoors. Culminating in Cleveland, it also provides the excitement of life in a big city. Chime in: Which activity on this Discover Ohio learning vacation most interests you? Ohio State Parks on Facebook. Boyd’s Crystal Art Glass on Facebook. That’s a great post. Thanks. Having been born in Richmond, Indiana and lived on a farm I can related to the photos and message you have shared. Yes this area has much to offer. I was born in Sandusky, and that’s a great place to go in the summer (Put-in-Bay, Kelly’s Island, Cedar Point). I’ve been to the Rock n Roll Hall of Fame in Cleveland and that was neat (loved the Pei design). 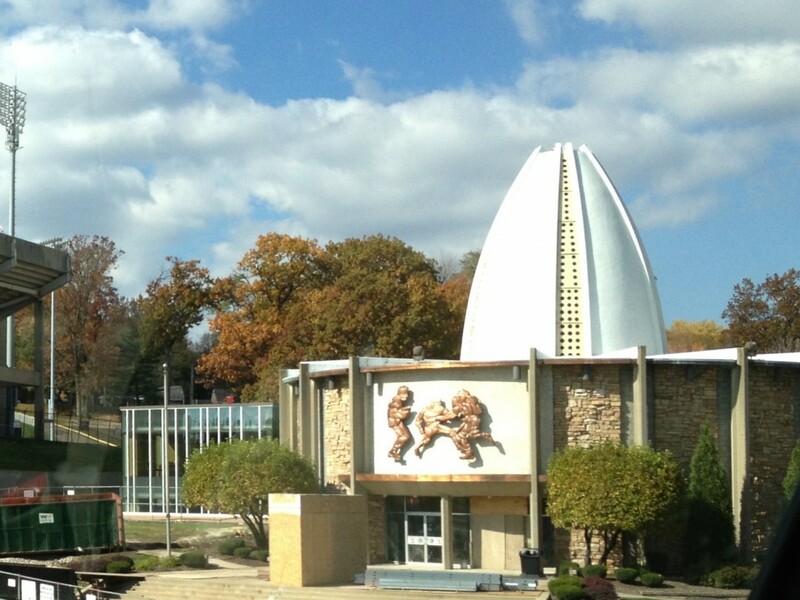 I haven’t yet seen the HOF in Canton, but I know hubby and I would both enjoy that visit! Rosey, shhhh….. don’t tell anyone, but I lived on the same road as the HOF and only 1/2 mile away and never got there! Hubby was still in school and money was tight. I’m sure it’s a lot better now with all the technology, but wow! We missed a great opportunity to see something people plan vacations around. Duh! Such great information here! I have only been on a quick layover at Cincinnati airport so I clearly need to make a visit to Ohio one of these days. I would love to explore the glass factories and Amish country. I was born in Cleveland, but moved to AZ when I was 3. I so enjoyed reading this, and some day have to get there to see my birthplace! That’s a lot closer than my daughter’s birthplace in China! Cleveland is best in June and late August/early September in my opinion — perfect temps! It’s fun year-round. Great post! I think the place I would find the most fascinating is Marietta. I love thinking about how things were back in the day…. The Amish county sounds interesting too. Great list of resources! The Sternwheel Festival is the weekend after Labor Day. Believe it or not, I really hope I can attend. LOTS of boats. Looks fun, in a throwback kind of way. I’m in Indiana. This sounds like a fun trip. And it’s close by. 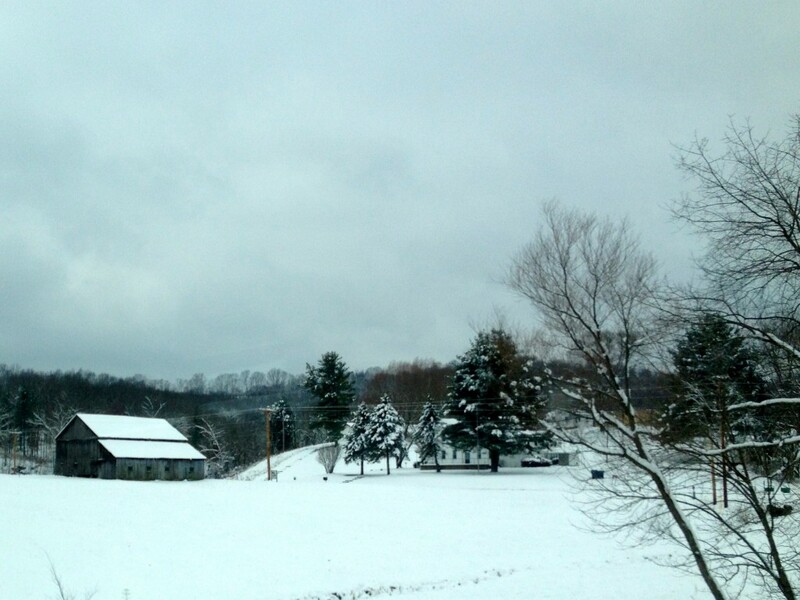 The Amish country looks absolutely beautiful! I feel bad I just drove right through Ohio on a road trip a few years ago. Looks like I missed some great stuff! Want to know a secret, Morgan? I grew up there and missed out on a lot of stuff. Now, I go back as a tourist. There’s always next trip! I have always loved Cleveland but I have never explored the Amish country. I think I would really enjoy that. I honestly can’t say I knew so much about Cleveland was really that interesting but it sounds like it can be a lot of fun! Who knew Ohio could be so interesting! I’m with you though, I’d prefer to stick to the sunny skies in NC! Wow, I had no idea there is so much to do in Ohio! We sometimes take road trips from Texas to Wisconsin to visit family, and will have to take a detour through Ohio at some point. Thanks for the great tips! Every state offers rich history — we just need to look for it.